TopStyle 5 includes many new features to help you create and maintain CSS and (X)HTML documents that support best practices and the latest technologies. TopStyle 5 includes a new style definition for CSS3. This new CSS3 definition is powering many TopStyle features, including the Inspector (Shift+F9), Insight (Ctrl+Space), and Style Checker (F6). CSS3 is great, but not every web browser out there fully supports CSS3 and CSS3 itself has not reached its final release stage. That is why some web browsers require so-called vendor-prefixed properties. The vendor prefixes ensure that there are no clashes with the changing specification and to allow the browser maker to start supporting experimental CSS properties. Of course, keeping up with these vendor-prefixed properties (supporting them, remembering them, etc) is hard. In an ideal world, the web developer should have to focus on standards-compliant CSS properties only. Prefixr to the rescue. Prefixr will filter your (standards-compliant) CSS3 properties and dynamically update them, adding (vendor-prefixed) properties for cross-browser compatibility. You can update an entire style sheet, or a few rules, or a few properties. Simply select the CSS you would like to "prefixize" and then select: CSS > Prefixize. While creating your style sheets in TopStyle, you focus on the standards-compliant properties and do not worry about browser support. Then when you're done, you let Prefixr do the nasty work and convert your (standards-compliant) CSS3 properties into (vendor-prefixed) properties for cross-browser compatibility. 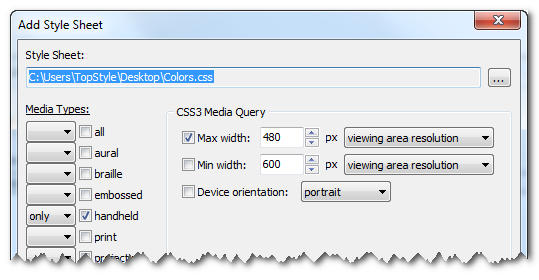 CSS2 allows you to specify a stylesheet for specific media type such as screen or print. Now CSS3 makes it even more efficient by adding media queries. You can add expressions to media type to check for certain conditions and apply different stylesheets. For example, you can have one stylesheet for large displays and a different stylesheet specifically for mobile devices. It is quite powerful because it allows you to tailor to different resolutions and devices without changing the content. In this example, the style sheet you're adding to your document will apply if the maximum width of the device is 480px (eg. iPhone display). CSS3 and HTML5 are introducing many exciting features for web developers. 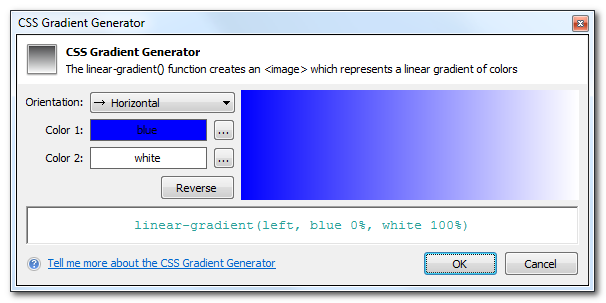 One of the features is the ability to specify gradients using pure CSS3, without having to create any images and use them as repeating backgrounds. CSS3 has a property called text-shadow (a slightly moved, slightly blurred copy of a text). 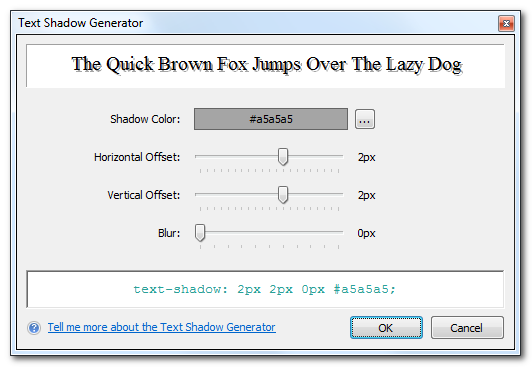 The simplest form of the text-shadow property has two parts: a color (such as #a5a5a5 above) and an offset (2px 2px in the example above). This results in a sharp shadow at the indicated offset. But the offset can also be made fuzzy, resulting in a more or less blurred shadow. 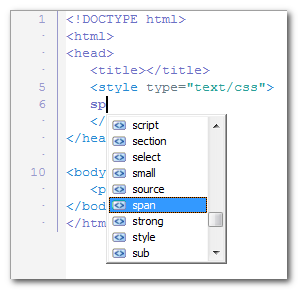 TopStyle 5 includes a new HTML5 definition. This new HTML5 definition is powering the Inspector (Shift+F9) and Insight (Ctrl+Space). TopStyle 5 includes a new HTML5-only validator. Thanks to this HTML5 validator, TopStyle 5 makes quality assurance of HTML5 less time consuming than it used to be. TopStyle 5 includes the HTML5 fork of HTML Tidy, and supports all the new configuration options. 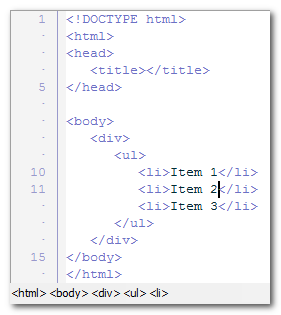 The HTML Structure Panel appears below the code editor, and displays the hierarchy of HTML tags that leads up to your editing position. When you click one of these menu items, the enclosing matching tags (and their contents) are selected in your code. 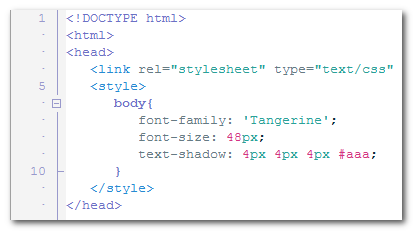 Note: If you keep clicking Edit > Select Parent HTML Tag, and your tags are balanced, eventually TopStyle 5 will select the outermost <html> and </html> tags. Your HTML tag should now be wrapped in a new HTML tag, without you having to manually locate the position for the open tag and the close tag. An image map is an image that has been divided into areas, or "hotspots"; when the user clicks a hotspot, an action occurs (for example, your reader is taken to another Web page). 2. Right-click somewhere in the <img> tag. 4. Click anywhere on the image, hold down the mouse button, and draw the shape you want on your image. 6. Click on the OK button when you're done adding hotspots. 7. Click in the href attribute, bring up Insight (Ctrl+Space), and select the URL you want the reader to navigate to when he/she clicks on the hotspot. 8. Preview your image map in a web browser to make sure it works correctly. Editing existing hotspots is easy. 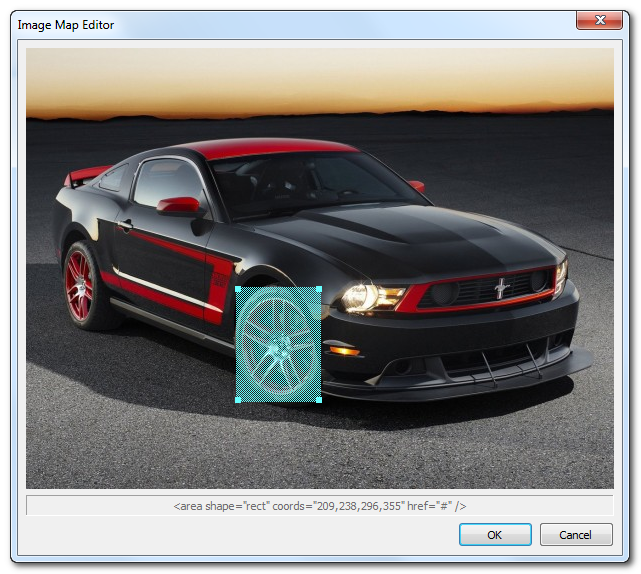 Bring up the Image Map Editor (see above), and then click an existing hotspot to select it. From here, you can move, re-size, and/or delete the hotspot(s). TopStyle's internal preview panel has always supported both Internet Explorer and Mozilla Gecko (Firefox). TopStyle 4 introduced Apple Safari to the mix. Now TopStyle 5 introduces Google Chrome as the internal browser. This Google Chrome-based internal preview is installed out-of-the-box, without you having to download and install anything separately. In other words: this feature works, even if you do not have Google Chrome installed on your computer. XRAY helps you visualize the layout of your page. When you click the XRAY button on the Preview panel's toolbar, the XRAY panel comes up. Now when you click any element on the page, the XRAY panel displays the position, margins, padding, and dimensions of the element. Basically, you click the XRAY button to instantly answer those vital questions: where is the top and left of this element? how big is each margin? how big is the padding? how wide and high is the content box? When you select some text in the TopStyle 5 preview panel, the cursor position in the editor will automatically synchronize with the corresponding text. 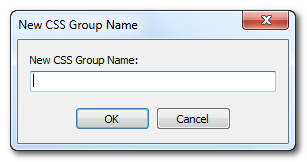 Inspired by CSSEdit, TopStyle 5 introduces CSS groups. Basically, this serves as an organization method for your CSS selectors, and in the CSS Selector Panel (View > Panels > CSS Selector Panel) you can view them in a folder-based layout. TopStyle 5 includes (and integrates with) CSS Tidy, a CSS parser and optimiser. Thanks to CSS optimisation, you have faster loading pages and lower traffic costs. You can also use CSS Tidy to format (or fix) your style sheets for browser compatibility. Brace matching gives you immediate feedback on misplaced brackets and parentheses. The purpose is to help you navigate through your document(s) and also spot any improper matching, which could cause your website to malfunction. 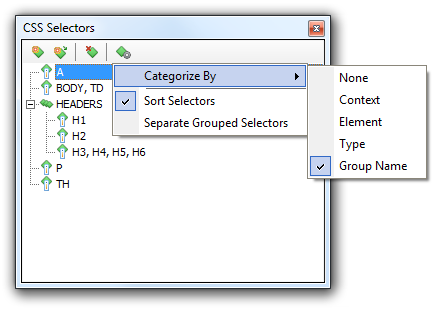 • Starting with TopStyle 5, Insight (Ctrl+Space) will filter the drop-down list while typing (show only those items that match what you have typed). 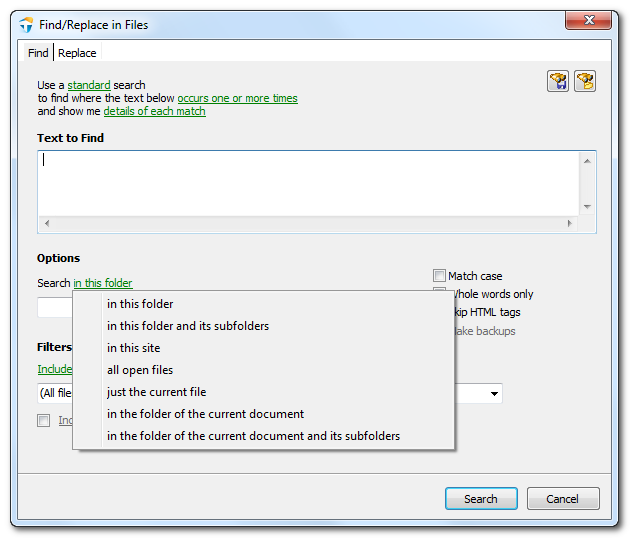 This makes searching though the drop-down list a whole lot easier. You can toggle this new feature here: Options (F8) > Editor > Insight > "filter the list while typing". • In addition to these improvements, Insight includes lots of other improvements such as browser compatibility icons, Google web fonts, CSS gradient generator, text shadow generator, etc. In this example, box-sizing is supported by all web browsers, columns is supported by Chrome and Safari, and column-fill is supported by Firefox only. 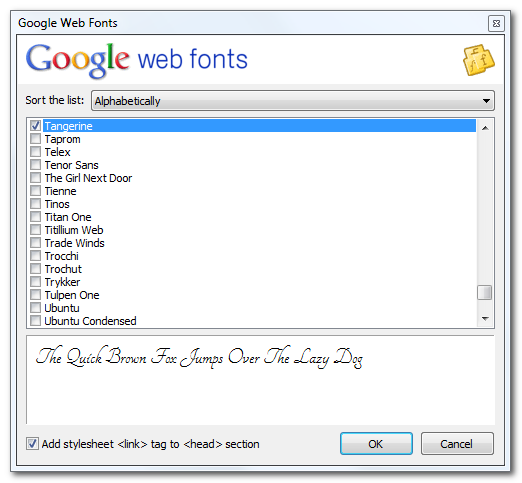 Google provides lots of high-quality web fonts that work in most browsers. TopStyle 5 now supports automatic insertion of these fonts into your page(s). Note: in addition to the font family name, TopStyle 5 optionally adds a stylesheet <link> to the <head> section of your web page (recommended). When turned on, this new setting will highlight CSS color values with the actual color they represent. TopStyle 5 displays a little color swatch below every CSS color value. When you click on this color swatch, the color dialog appears. From here, you can easily change the color value. 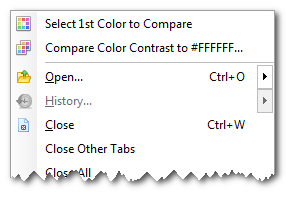 When you triple-click on a color value in the editor, the color dialog appears. From here, you can easily change the color under the mouse cursor. 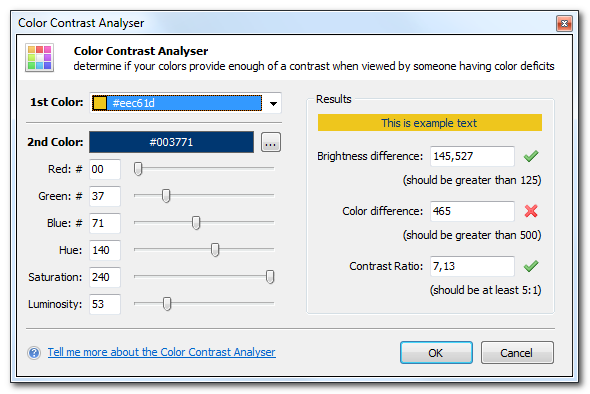 The Color Contrast Analyser allows you to specify a foreground and a background color and then determine if they provide enough of a contrast "when viewed by someone having color deficits or when viewed on a black and white screen". In addition to FTP (previously introduced in TopStyle 4), TopStyle 5 now includes support for SFTP. 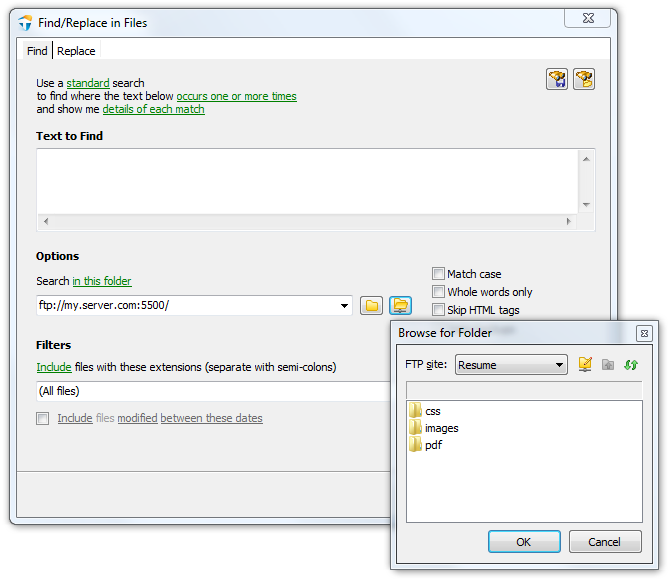 The FTP Explorer Panel allows you to drag-and-drop documents from your SFTP site into the TopStyle editor. When you save your document, it is automatically uploaded to your SFTP site. From here, you can open a backup, compare differences between revisions, or roll back to a backup (restore a previous revision). Now start typing, and TopStyle will replace all occurrences with what you typed! Note: if you would like to bail out of this feature, you can simply click the button in the gutter again, or move the caret to some other position in your document. When you click on a CSS property name while holding the Ctrl key down, detailed help on the CSS property will appear. Starting with TopStyle 5, we have added CSE HTML Validator Help to the potential references for this feature. In addition to Ctrl+click, help for a CSS property will also appear when you press F1 while the caret is in a CSS property name. Last but not least, we have added help for HTML elements! 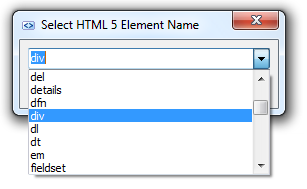 Press F1 while the caret is in an HTML tag, and detailed help on the HTML element will appear. TopStyle 5 helps you manage your documents with workspaces. A workspace remembers remembers "things" about the documents you're working on. For example: a workspace remembers your previously opened documents, and then restores those at start-up. When you switch to another workspace, the documents of that workspace are opened, and if you switch back to the former workspace, your previously opened documents are restored. This is extremely useful when working on several projects at the same time. By default, TopStyle stores everything in a built-in workspace named "TopStyle Default". However, you can create a new workspace (File > New Workspace) or open another workspace (File > Open Workspace). Saving a new workspace is just like saving a normal document - you simply choose a name for the workspace. Copy (Ctrl+C) and Paste (Ctrl+V) is a simple task to perform and every editor is doing it, but there is a way to make it even simpler and faster. The idea behind Smart Copy is that you do not need to select anything. Whenever the caret is on a word that's not selected, pressing Ctrl+C (or Ctrl+X) creates the selection for you and then copies (or cuts) the selection to the clipboard. Because you need normal Paste most of the time, Smart Paste (Ctrl+Shift+V) selects the current word and then overwrites this with the text you have on the clipboard. 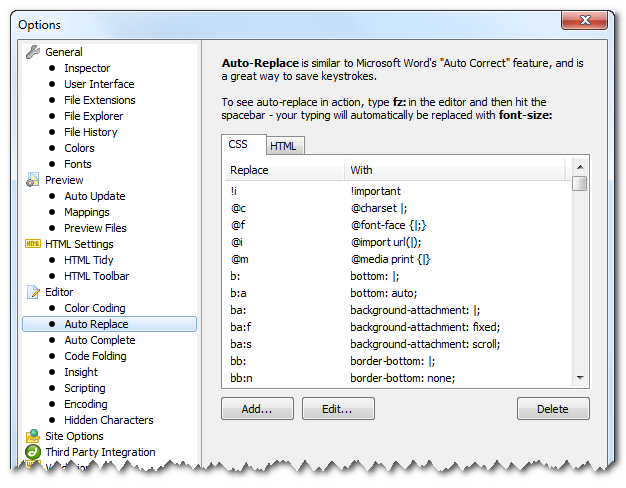 Note: Smart Copy and Paste selects whatever would be selected by double clicking in the exact position. Inspired by HomeSite, TopStyle 5 now includes a vertical toolbar with quick access to: (un)indent, wrap tag, word wrap, hidden character toggle, line numbers, split screen, full screen toggle, and other useful items. 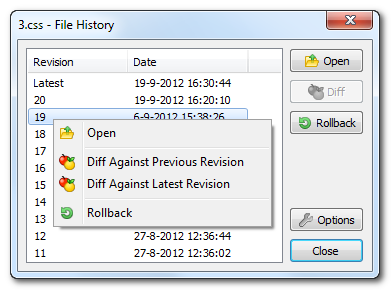 TopStyle 5 re-introduces something that is long overdue: drag-and-drop editing. Over the years, the TopStyle menus have grown a lot, and the organization of those menus hasn't always, uhm, made sense. For TopStyle 5, we decided to re-design the TopStyle menus. Everything CSS-related is now under a new CSS menu, and the confusing Tools menu is gone. 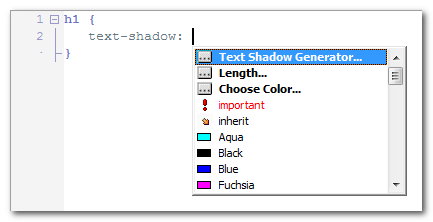 TopStyle 5 includes new syntax color coding based upon the Solarized color scheme. TopStyle 5 includes iWebKit 5 - a framework designed to help you create your own iPhone, iPod Touch and iPad compatible website or webapp. Start a new iWebKit 5 project via File > New Site > iWebKit. Add a new iWebKit 5 page to your site via File > New HTML Document > iWebKit. the HTML toolbar contains an iWebKit tab, providing easy access to most of the commonly used iWebKit elements (such as navigation buttons, menus, lists, form elements, etc). In a couple of minutes you will have created a professional looking mobile website. iWebKit is the framework of choice because it is very easy to use, loads extremely fast, and is compatible with all iOS devices. Tap into the power of cascading style sheets (CSS) and (X)HTML. TopStyle 4 includes many new features to help you create and maintain CSS and (X)HTML documents that support best practices and the latest technologies. When you save your (X)HTML document (File > Save As), you can optionally select encoding for your document. TopStyle allows you to save your document ANSI-encoded (the TopStyle 3.x default), or Unicode-encoded (UTF-8 or UTF-16). When you open an existing document (File > Open), TopStyle will try and auto-detect the encoding for the document you're trying to open. If the document you're trying to open does not contain a BOM (byte-order mark), auto-detect assumes your document is ANSI-encoded (the TopStyle 3.x default). Note: TopStyle will always include a BOM (byte-order mark) with your Unicode-encoded documents. TopStyle allows you to edit online documents via FTP (File Transfer Protocol). The new FTP Explorer Panel (View > Panels > FTP Explorer Panel) allows you to drag-and-drop documents from your FTP site(s) into the TopStyle editor. Alternatively, you can select File > Open from FTP from the TopStyle menu. Note: when you save your document, it is automatically uploaded to your FTP site. TopStyle makes FTP totally transparent. You are not bothered with downloading (and/or uploading) your document(s) by hand. Last but not least, you can upload your local documents (the ones not downloaded from a FTP site) to your FTP site(s) via File > Save to FTP. TopStyle comes with a new, user-configurable HTML toolbar (View > Show HTML Toolbar) that is displayed above the editor. By default, this HTML toolbar is available to (X)HTML documents only, but you can optionally enable it for CSS documents too via Options (F8) > HTML Settings > HTML Toolbar. Simply click and hold down the mouse button on an HTML toolbar item, and then drag the item from the HTML toolbar anywhere into your document. When you release your mouse button, a snippet is inserted into your document. 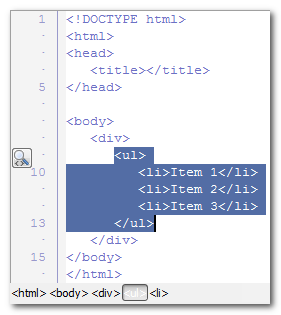 Some HTML toolbar items optionally display a dialog where you can configure the snippet before it is inserted. You can apply an HTML toolbar item to selected text as well. Select some text in your document, then click an HTML toolbar item and release the mouse button without dragging the item out of the HTML toolbar. Note: HTML toolbar items are stored under \Documents and Settings\<username>\Application Data\Bradsoft.com\TopStyle\4.0 (Windows XP) or \Users\<username>\AppData\Roaming\Bradsoft.com\TopStyle\4.0 (Windows Vista). Advanced users can create their own HTML toolbar items. TopStyle includes new style definitions for IE8 (Microsoft Internet Explorer 8), FF3 (Mozilla FireFox 3), SF3 (Apple Safari 3), and SF4 (Apple Safari 4). 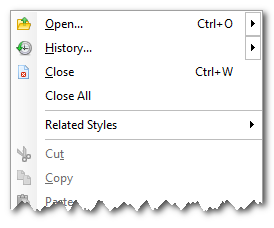 The TopStyle editor context menu contains new commands for navigating your document(s). 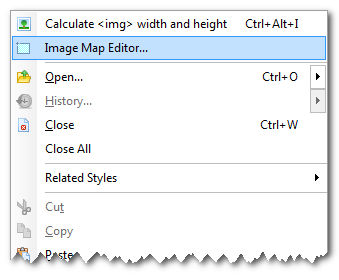 To display the editor context menu, right-click anywhere in the editor window. Choose Toggle Bookmarks from the editor context menu to set or clear up to 10 bookmarked locations in each document you have open in the editor. Bookmarks let you save your place within a long document. You can also press Ctrl+Shift and the number of the bookmark to set or change the location of a bookmark. When a bookmark is set, you see a box in the left margin of the editor with the bookmark number in it. Choose Goto Bookmarks from the editor context menu to display a list of bookmarked locations you can jump to in the editor. You can also jump to bookmarks by typing Ctrl + the number of the bookmark. Start a new iWebKit 4 project via File > New Site > iWebKit. Add a new iWebKit 4 page to your site via File > New HTML Document > iWebKit. the new HTML toolbar contains an iWebKit tab, providing easy access to most of the commonly used iWebKit elements (such as navigation buttons, menus, lists, form elements, etc). Inline style attributes (eg. style="|") support CSS color-coding and Style Insight (Ctrl+Space). TopStyle allows you to change the current IE8 document compatibility mode (you can select a mode from the document compatibility list under TopStyle's HTML menu). TopStyle's full screen preview (F12) enables experimenting with different IE8 document compatibility modes, so you can see how they affect the rendering of your pages. Because the full screen preview may be split in two panels, each preview panel has its own IE8 document compatibility mode! 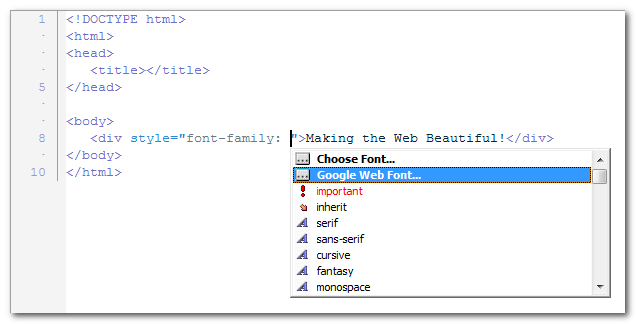 TopStyle contains a new HTML definition for HTML5, and supports the new !DOCTYPE for HTML5. TopStyle identifies spelling errors as you type with wavy red underlines, and allows you to act upon each identified problem with a new context menu. TopStyle auto-detects the latest (external) browsers, including Mozilla Firefox, Apple Safari, Opera, and Google Chrome. Additionally, the (internal) preview for Mozilla Gecko (Mozilla FireFox) has been updated to support the latest version of Mozilla Gecko (Mozilla FireFox). Inside PHP HEREDOCs, TopStyle will display its Tag Inspector (or Inline Style Inspector) and HTML Insight when you're adding/editing HTML tags. 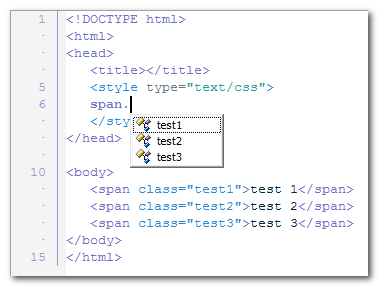 TopStyle includes improved integration with CSE HTML Validator, including HTML link checking. 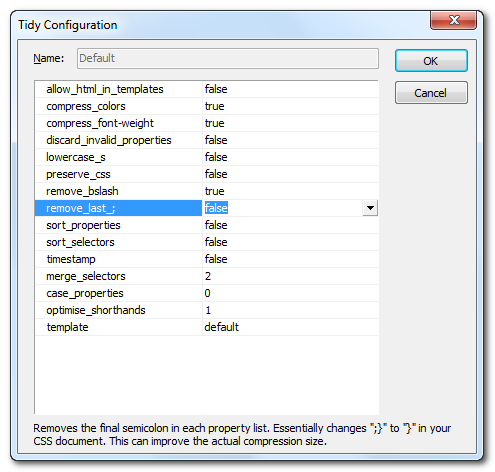 TopStyle includes the latest release of HTML Tidy, and supports all the latest HTML Tidy configuration options. TopStyle supports (Windows) XP themes, and provides a better visual user-interface experience on Windows XP, Windows Vista, and Windows 7. Added: Site Reports now supports multiple class names within a single class attribute (ex: <p class="one two three">). The first time you open a site created in a previous version, TopStyle will quickly scan its HTML files for multiple class names, and if any exist, you'll be prompted to upgrade the site. Note that the upgrade must be performed in order to open the site in v3.5. Added: Preview files "Add Url" dialog now automatically inserts "http://"
Changed: "File list panel" renamed to "File explorer panel"
Changed: The thumbnail viewer is now embedded below the file explorer. Selecting a thumbnail will highlight it in the file list, and selecting an image in the file list will highlight it in the thumbnail viewer.